I discovered this lovely conch shell in a curio shop in Mumbai, India. I travel to India for inspiration. 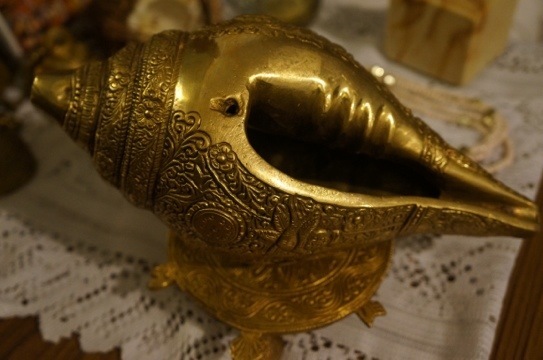 The etchings on this brass conch shell is something to behold. 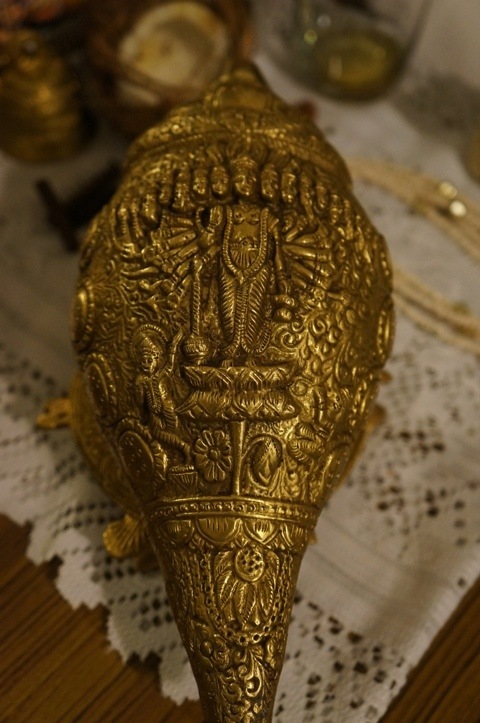 It was made in Muradaba (Northern India) and get this when placed to your ear you can hear “the ocean”.